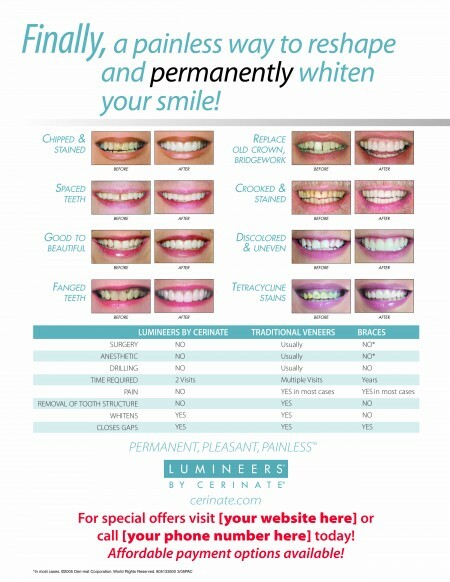 LUMINEERS is a revolutionary veneer made from patented Cerinate® Porcelain, the strongest ceramic on the market today. The LUMINEERS procedure is fast and painless. 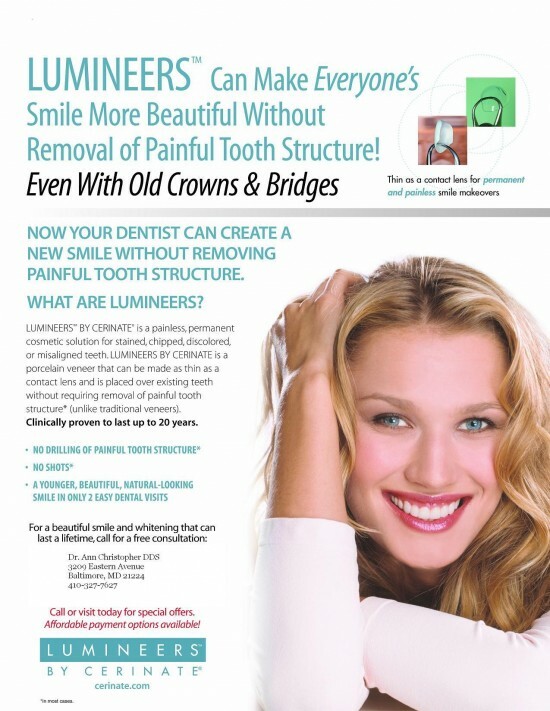 Due to the strength and thinness of LUMINEERS veneers, they can be bonded directly over existing teeth to create a new, beautiful smile without discomfort for your patient. Incorporating LUMITray™ technology provides even greater efficiency. This advanced, full-arch tray delivery system allows placement of up to 10 LUMINEERS in one step. 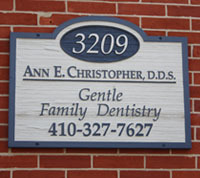 Your patients will love you for offering this pain-free, life-changing option. 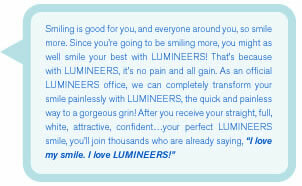 With LUMINEERS, you will grow your practice and your profit!